Police and customs officers in Poland have made several arrests after raiding an illicit tobacco facility in southern Poland. Euronews reports that 1.5m counterfeit cigarettes were seized in the raid, which uncovered an "elaborate production and counterfeit packaging line" in the mining town of Myslowice. The fake cigarettes were reportedly destined for shipping to the UK and Norway. A KPMG report published a few weeks ago shows that the UK saw near 50 per cent increase in the consumption of counterfeit and contraband cigarettes in 2014, the second highest increase across the whole of the EU, although overall EU consumption fell by 3 per cent. Norway is also a ripe market for illicit tobacco because it is the most expensive market for these products within the EU. 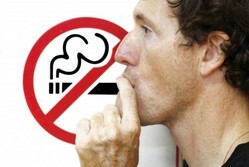 It has the second-highest incidence of counterfeit and contraband tobacco in the EU after France.